Is it a good time to buy real estate in Costa Rica? With a surplus of new houses and apartments, a current drop in mortgage interest rates, good locations, small inflationary increase, and acceptable economic conditions in Costa Rica, the timing couldn’t be better. Good, supportable data for housing prices in Costa Rica is pretty much non-existent. Gaining such data requires either direct experience in the business or tedious research looking at government reports, or visiting listings. All these efforts can be challenging to discern information supportable with facts. Grupo Vila, with over 2,000 houses in the market, is a leader in Costa Rican housing development. Focused on middle-income housing throughout the Greater Metropolitan Area (GAM) of San Jose, Grupo Vila uses all these techniques to understand the market. When analyzing the best time and place to buy a house, it’s always good to review the economy. Three indicators – GDP, inflation, and debt – should give us a clue about Costa Rica’s economic conditions. GDP is growing at a rate of 2.98 percent, down from 4.94 percent in January 2017. 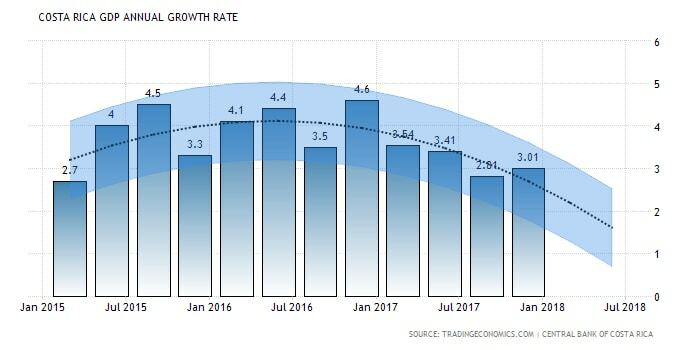 The prognosis suggests GDP will continue to decline, maintaining a growth rate of 1.7 percent until 2020. Inflation is always a curious topic of discussion in Costa Rican economic circles. Costa Rica has a 2.21 percent rate of inflation. This is a significant difference from 2008/09 around the global economic crisis when the rate was over 15 percent. 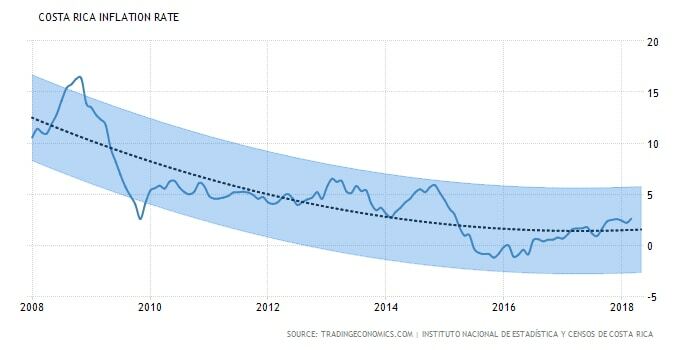 Inflation dropped below zero percent in 2015/16 and has slowly risen ever since. Analysts project a rate of 2.7 percent by the end of 2018, rising to 3.4 percent by 2020. Another topic always at the forefront of local politics is government debt to GDP. Debt is often used as an excuse for some perceived and real woes of the Costa Rican economy. A low debt-to-GDP ratio shows an economy producing and selling enough goods to pay its debts. The International Monetary Fund (IMF) ranked Costa Rica 97th out of 176 countries by its debt. 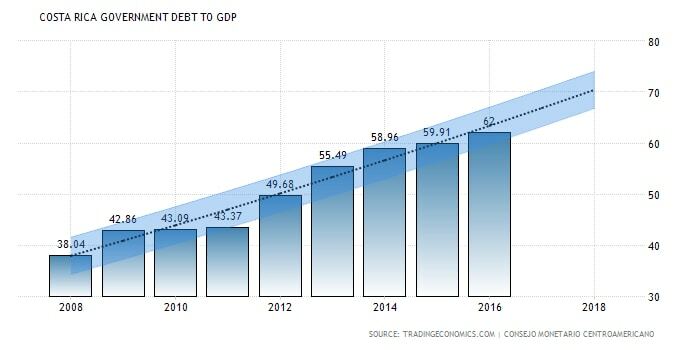 In 2016 the debt-to-GDP ratio reached 62 percent and has more than doubled since 2010. Although these numbers vary from source to source, the fact is debt is dragging down the economy. This means higher interest rates causing less demand. Developers who continue to develop and build have two choices. They can slow down or stop as the demand for houses reduces (due in part from high-interest rates for client mortgages in recent months). Or they can continue developing in the hope the market will turn and mortgage closings speed up. In fact, as of mid-March 2018 interest rates fell and home mortgage closings rebounded. With a surplus of new houses, lower rates, and developers tight on cash, negotiating the softer market for a lower home price should be doable. Home supply in the market also seems to be one condition leading to a reduction in new home prices. An example would be Paraiso, Cartago where prices have decreased by five percent per year over the last three years. From 2014 through mid-2017 home builders pushed developments. The result was a surplus of new homes in some high demand locations. 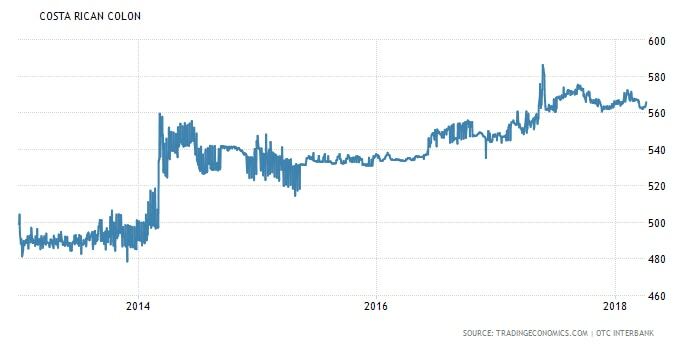 Combined with mortgage rate increases caused by governmental policy factors (debt), the tide is now turning in favor of the buyer. When the banking industry has a hiccup after an aggressive homebuilding renaissance, the housing market reacts with a downward home-pricing correction. Too many competitors, too much supply. We are now seeing this again as new home selling prices have dropped as developers try to reduce inventory and build cash reserves. So, with the basic indicators out of the way, the big question is whether it is time to buy real estate in Costa Rica or not. If you have the financial resources to buy a house with no mortgage the answer to that question is a resounding yes. Now is the time to buy a house in Costa Rica, particularly a typical middle-income home valued between $80,000 and $150,000. Perfect for living or using as an investment rental property. With mortgage rates coming down, a slowdown in mortgage closings causing developers to have cash shortfalls, and a surplus of new homes, cash offers can often get significant discounts off market prices. If you can buy a house with cash and want a good investment, Grupo Vila projects in La Guacima, Curridabat, Heredia, and Cartago all have good opportunities now with significant price reductions. For those needing a mortgage to buy a house in Costa Rica, the time is also right with some careful rate research. At the end of July 2017, Banco Nacional de Costa Rica (almost 44 percent of Grupo Vila’s clients get their mortgage from Banco Nacional) more or less stopped issuing mortgages. This was not a total surprise as it happens most years around October or November. But last year the rate increase happened early and started a negative ripple effect throughout the housing market. 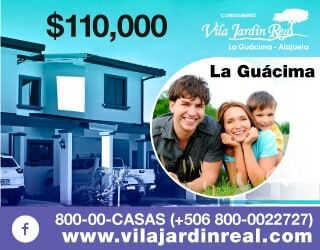 Grupo Vila tried to guide its clients to the few banks continuing to issue mortgages with reasonable interest rates. These were challenging to find, but anything was better than the Banco Nacional colon rate at 12.5 percent the first year and 13 percent the second. Five months before the increase, in February 2017, colon mortgage rates were 7.25 percent the first year and 7.5% the second with Tasa Basica plus 4.25 for all remaining years. But today’s rates continue to be high. Only Banco Lafise offers colon mortgages below seven percent as of March 2018. 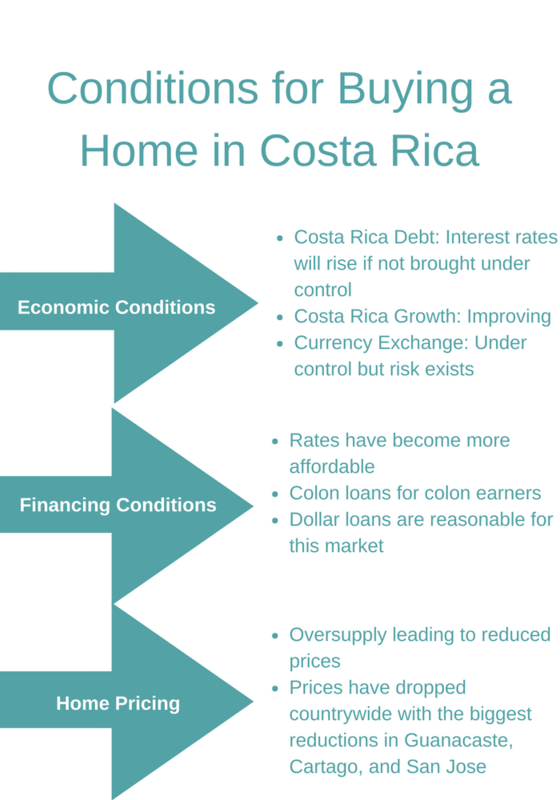 Before 2008 many Costa Ricans got dollar mortgages and reaped the better dollar rates. But after the global crisis banks encouraged clients to get mortgages in colones regardless of the much higher rates. As of April 2018, banks offering mortgages in Costa Rica still encourage colon loans for colon earners regardless of the large rate spread between dollar rates and colon rates. Some of this has to do with the fear that currency risks could have a negative impact on a home buyer’s ability to pay mortgage costs. True, no doubt there’s a risk here. But when reviewing currency changes over the last five years it would seem this fear is unfounded after adjusting incomes for inflation. The consequence is fewer opportunities to buy a new home for those who can’t afford the higher cost colon-based mortgages, but who could have bought with a dollar-based mortgage. This lost opportunity to buy a house earlier in life will have a serious long-term impact on the economy and the future wealth of young home buyers. 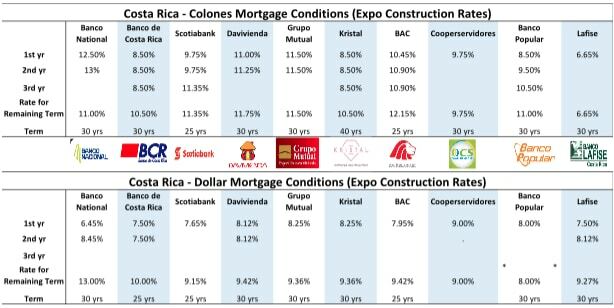 The table below provides home mortgage rates as of the end of February 2018 in both dollars and colones. The rates vary from bank to bank. I recommend careful analysis of which bank offers the best rates for any situation. One standout bank on the list is Kristal Bank. 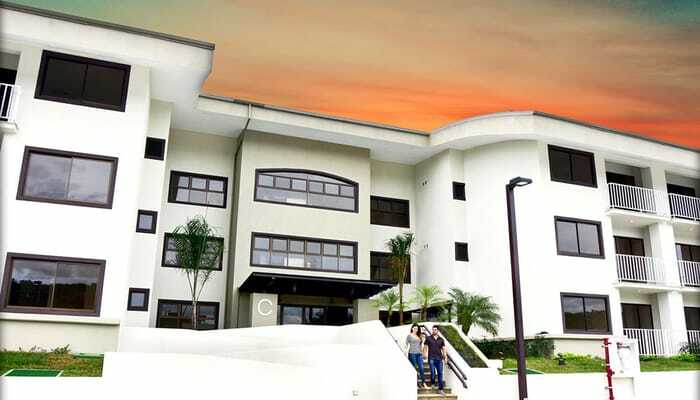 Owned by Banco de Costa Rica (BCR) and geared to women, Kristal Bank is offering hard-to-beat conditions in colones at 8.5 percent and up to a term of 40 years. The catch is you need to be a woman to apply. For a house costing $100,000, the monthly payment will be around $733. Compared to Banco Nacional’s rate of 12.5 percent the first year, the difference can be huge to a fixed income earner in colones (or about $300 more per month). The price of housing as defined by price / m2 has come down over the past years with a countrywide negative four percent change between 2016 and 2018. That works out at down from $1,054 /m2 to $1,017 / m2 as of February 2018. This translates into a house cost about $188,145 for a 185 m2 house (2,000 square feet). A typical home of this size comprises 200 m2 lot with three bedrooms, 2.5 baths, and a two car garage in a gated community. Three of Costa Rica’s seven provinces registered a decline in selling prices between February 2016 and February 2018 according to data collected by listings site Encuentra 24. These provinces are Guanacaste, Puntarenas, and San Jose. Encuentra 24 used a sample size of 119,296 houses listed for sale across Costa Rica. In Guanacaste, house prices dropped by 17 percent since February 2016 to an average of $1,209 / m2 in February 2018. Of particular interest is the dramatic drop in prices in Santa Cruz and Libera. A little downward adjustment never hurt the consumer, but developers may argue the point. In Alajuela, the average listing price of houses rose three percent in the province between February 2016 and February 2018. The latest average price works out at $947 / m2 ($87.98 / square foot). Compared to a house constructed in Florida where $137 / square foot is typical, the cost is far below U.S. construction costs. The biggest change is the dramatic increase in housing prices in the towns of Naranjo and Orotina. Could this be in anticipation of the major new airport planned for this area and the high-speed rail link to San Jose that will accompany it? 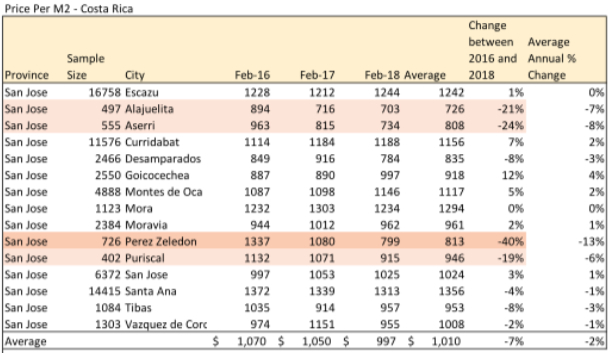 Cartago Province saw a three percent rise between February 2016 and February 2018 ($906 / m2 to $935 / m2). But the city of Paraiso, where housing developments have sprung up at an amazing rate dropped 16 percent in price. Some of this is due to the surplus in housing with developers stuck with large inventories when the banks raised interest rates in July 2017. There are good deals near Aguas Calientes where new houses are going for $115,000 in a secure gated community. Heredia house prices have remained stable over the period with a slight increase between 2016 and 2018 of one percent ($999 / m2). 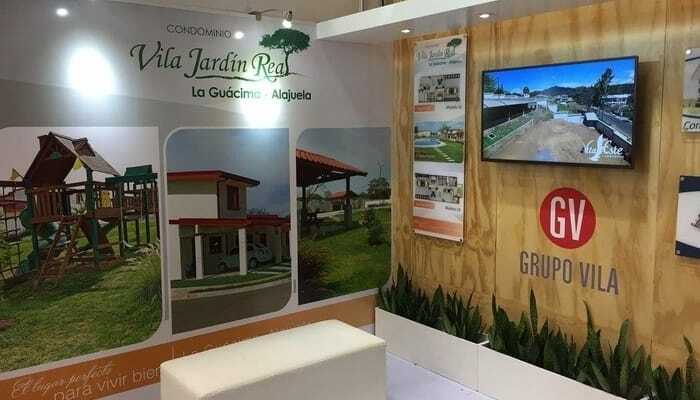 Two projects representing good value in Heredia are Vila del Alcazar in San Lorenzo and Vila San Francisco near Cariari. Vila San Francisco is perfect for busy, young, professionals working in the nearby free trade zones around Cariari. Puntarenas saw prices fall by one percent across the province. But the city of Puntarenas and the Osa Peninsula showed large increases of 21 and 13 percent respectively. Esparza, on the other hand, dropped almost 37 percent. The price correction in Esparza was warranted considering the condition of units in the area. In San Jose, the capital of Costa Rica, home prices fell seven percent between 2016 and 2018. One of the few bright spots for price increases was in Curridabat where prices increased seven percent. This is an area in high demand with many new commercial shopping centers and restaurants. Vila de Este includes 100 units with one, two or three bedroom units in three levels of buildings. An attractive project with a swimming pool, gym and BBQ areas the prices are structured for selling. Prices have been reduced to move product considering the tightening of mortgages. The bottom line—is it the right time to buy?—yes. The numbers suggest the conditions are right. Much later and we are likely to see adjustments resulting from the change in administration following the 2018 election. If the politicians can see their way clear of partisan politics and consider the impact that the national debt has on the economy, we could see a good year for both developers and consumers. The challenge will be in overcoming continuing partisanship leading to an inability to create the policies to improve conditions for the housing market. As for developers, over the past five years competition in the middle-income sector has increased. The fight for clients has increased the responsiveness of developers. Many now offer options unavailable before when the home buyer had limited choices. The developers who can adjust and please the market will continue to succeed. Those who can’t will fall by the wayside. Grupo Vila has proven it has the skills, financial capacity, management and sales resources to meet the current market requirements. Now is the time to look and consider an investment for the future. David Segura is a Costa Rican paragliding/paramotoring instructor. When not in the air he develops middle-income properties around San Jose, Costa Rica for Grupo Vila. David lives in Escazu, Costa Rica.